Due ot the sensitivity of the proposed development, a desk study report was required to discharge a pre-commencement condition attached to the decision notice for the proposed development. 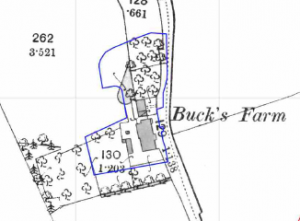 The review of the historical Ordnance Survey maps identified a pond on site (1890 map), which was in-filled on subsequent maps. The site had been occupied by a farm from before the first edition (1848) map. 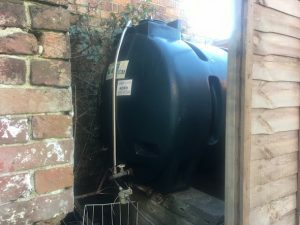 A review of environmental data and information held by the Environment Agency did not reveal any potential source of contamination either on site or off site. The site reconnaissance visit was undertaken on completion of the desk based assessment, which identified the site was used as a farm with a two story farmhouse and a number of barns/agricultural buildings. Two fuel tanks were identified on the site, the first being a self bunded tank used to store heating oil and a second unbunded diesel tank. The presence of hard-standing across the majority of the site prevented discounting made ground to be present on the site. Damaged cement sheeting was also identified across the site. Given the presence of made ground and the potential for asbestos fibers to have been released further works were proposed (either an intrusive site investigation or remediation in lieu of intrusive works). Intrusive works were proposed for the diesel tank. The report was submitted with an application to discharge the contaminated land planning condition, the report was accepted and further intrusive works are required to fully discharge the contaminated land condition. The desk study report and memo accepting the report are with the documents associated with 13/00854/DIS.